Joachim Meissner was born in Freystadt, Lower Silesia, on October 15, 1911. He served in the Reichswehr from 1929 to 1934 as an enlisted man, when he then joined the Foreign Section (Southeast Europe) in the Reich Sports Office. On August 26, 1939, he was mobilized with the 8th Engineer Battalion, but transferred to the Luftwaffe and joined the 1st Paratroop Regiment (Fallschirm-Jäger-Regiment 1) on January 1, 1940. Meissner then joined the secret Test Detachment Friedrichshafen, earmarked for the upcoming glider assault on the Belgian fortress of Eben Emael. 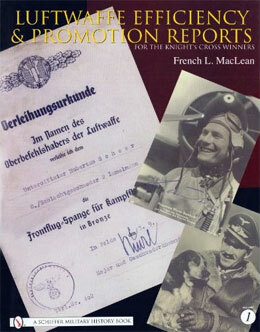 “Lieutenant Meissner” will be a valuable addition for the Luftwaffe. Meissner certainly was a valuable addition. He was promoted to second lieutenant (Reserve) on March 20, 1940. Early on the morning of May 10, 1940, as the second in command of Assault Group Iron (Eisen), Meissner watched as the Belgians blew up the bridge at Canne over the Albert Canal before his group, that was tasked to capture it intact, could land. He then observed the commander of his group, Second Lieutenant Martin Schachter, was seriously wounded, shortly after landing. Meissner then took command of the group. At about 6:10 a.m., the heavy machine gun section landed 550 yards too far to the west and suffered 14 killed and 8 wounded. After landing, the 8th Squad destroyed enemy machine gun-positions on the high ground with hand grenades, while the 3rd Squad took the valley and the trench-system on the northern hill. They also blew up three houses and the entrance to a bunker at the bridge, and captured the crew of the two bunkers there. The squad then moved into the village and captured 25 men and 1 officer. Meissner then sent paratroopers from the 8th Squad to swim east across the Albert Canal to lead reinforcements from the German Army’s 151st Infantry Regiment and 51st Engineer Battalion forward. The Belgians began their own artillery preparation about 8:00 p.m. for a planned attack just after midnight. At 11:30 p.m., the German reinforcements finally arrived and helped repel the Belgian attack. The following morning, Meissner led the remaining elements of Assault Group Iron to the eastern side of the canal; the group had suffered 22 dead, 26 wounded and 1 missing in action. In return, they had inflicted 150 killed, 50 wounded on the enemy and had taken 190 prisoners. 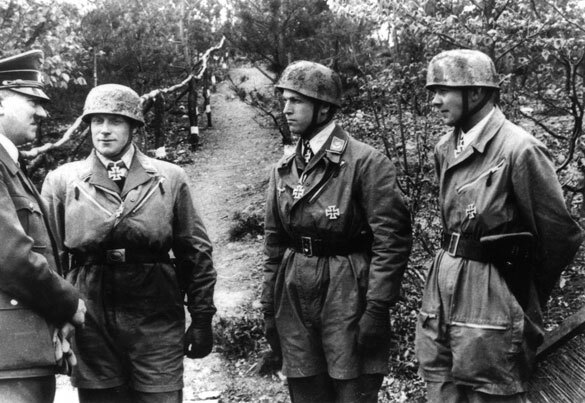 Adolf Hitler personally awarded Second Lieutenant Joachim Meissner the Knight’s Cross of the Iron Cross on May 15, 1940.